If 5th grade math skills are giving your child trouble, perhaps he or she could benefit from extra practice at home. The word problems below can help your child with several math skills. Answers and explanations are provided for each problem. In 5th grade, your child will continue building upon her mathematical foundation by using math operations (addition, subtraction, multiplication and division) on whole numbers and decimals. Students in 5th grade will fluently divide with 4-digit dividends and 2-digit divisors, as well as multiply with multi-digit whole numbers. If necessary, encourage your child to use drawings and models to help him solve math problems. 1. John was offered a job at a local garden center. His boss offered him $400.00 for five days of work or $40.00 for one day of work. If John chooses to be paid $40.00 per day, his boss agreed to pay him double when working on Fridays. Which option should John choose to make the most money? To solve this problem, your child should first multiply: 40 x 4 = 160. This shows the amount of pay for Monday through Thursday. To figure the amount for Friday's pay your child can either add: 40 + 40 = 80 or multiply: 40 x 2 = 80. To calculate the amount for all five days of work, your child should then add: 160 + 80 = 240. As a result, John should choose to be paid the $400.00 for five days of work. 2. The first year the new movie theater opened, they sold 1,782 tickets. The next year, they sold 1,908 tickets. The third year, they sold 167 less tickets than in the second year. How many tickets did the movie theater sell in the three years altogether? 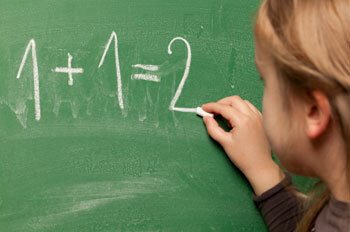 Your child first needs to determine how many tickets were sold in the third year by subtracting: 1,908 - 167 = 1,741. To find the total for all three years she should add: 1,782 + 1,908 + 1,741 = 5,431 tickets. 3. There are five girls who work together to cater parties. For each party the girls cater, they get paid $325.00, but they have expenses of $105.00. If the girls catered 12 parties, how much money did they make? To calculate the actual amount earned per party, your child should subtract: 325 - 105 = 220. To determine the total amount earned multiply: 220 x 12 = $2,640. 4. Mrs. Smith has 1,245 books to divide among her elementary classrooms. If there are 16 elementary classrooms, how many books will each class receive? 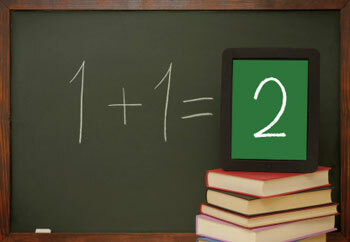 To determine how many books will go to each classroom your child should divide: 1,245/16 = 77 R13. This shows that each classroom will receive 77 books from Mrs. Smith, and there will be 13 books left over.